*Product Update: The BAR208SX and the previous model BAR208S sensors are not compatible with each other due to a change in protocols. 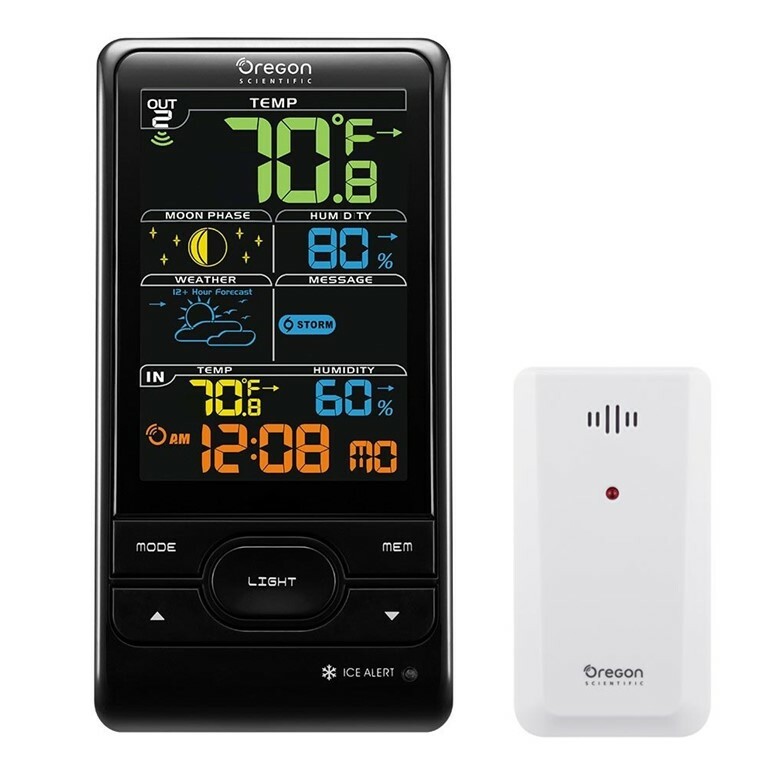 Oregon Scientific BAR208SX Advanced Wireless Weather Station with Humidity, Radio Controlled Clock and Weather Forecast - Color LCD Screen provides the weather you'll need to know to start your day off right! With the weather forecast in graphical icons, you'll never wonder if you need an umbrella again. The BAR208S wireless weather station monitors indoor and outdoor temperature from up to 3 remote locations. You can put a sensor outside in your garden, in your wine cellar and your baby's room and read all that information from the comfort of your bedroom. The wireless weather station features the 12-24 hour forecast, indoor-outdoor temperature and humidity, ice alert and min-max temperature memory. Works great for my backyard and nice screen. Will note that the manual was wrong. To change the time zone you press the down arrow button. Oregon Scientific Store was helpful in my selection of this weather station. To change the time zone on the BAR208SX press the down button repeatedly to cycle through the time zones.